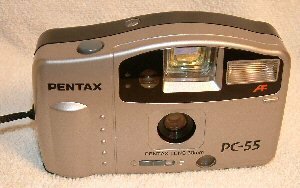 Living in Ontario Now: sunday day off sunday..
this is last day i will ever be using my 35 mm camera (Pentax PC 55) i had been using it for quite some time. it had gone unused for so long then i moved out here and used it full time. Nearly 50% of all photos on my photo album were taken with my camera...except fpr a few that used a disp camera. Its felt like my own, my vantage point at life in banff alberta, but now it has to be laid down to rest, maybe sold on ebay, if i can get the flash to be fixed. Mybe ill send it to calgary to get it fixed then send it to the local banff radio shack and get them to sell it, it isnt brand new...itll find hard times being sold but someone will take care of it..
in other news the man my mom takes care of (as a job) had parkinsons and recently got ill, and ive noticed that the people that havew this disease get weaker and weaker when they get ill. Tragically, just recently Tony (from st marys ontario) passed away. He had been in the hospital for a while lately and he got back to living his life and then passed away, our family got to know him very well and we will miss you tony..
my condolances... to tonys family.. I'm so sorry to hear Darren. please pass on my Condolences. My Daughters Fathers Grandfather suffered with Parkinsons for a long long time, and it was awful to see him getting weaker and weaker. Right at the very end, his memory started going too. In a weird way, it was a relief when he died. He was out of pain and suffering, something he'd struggled with for so many years.